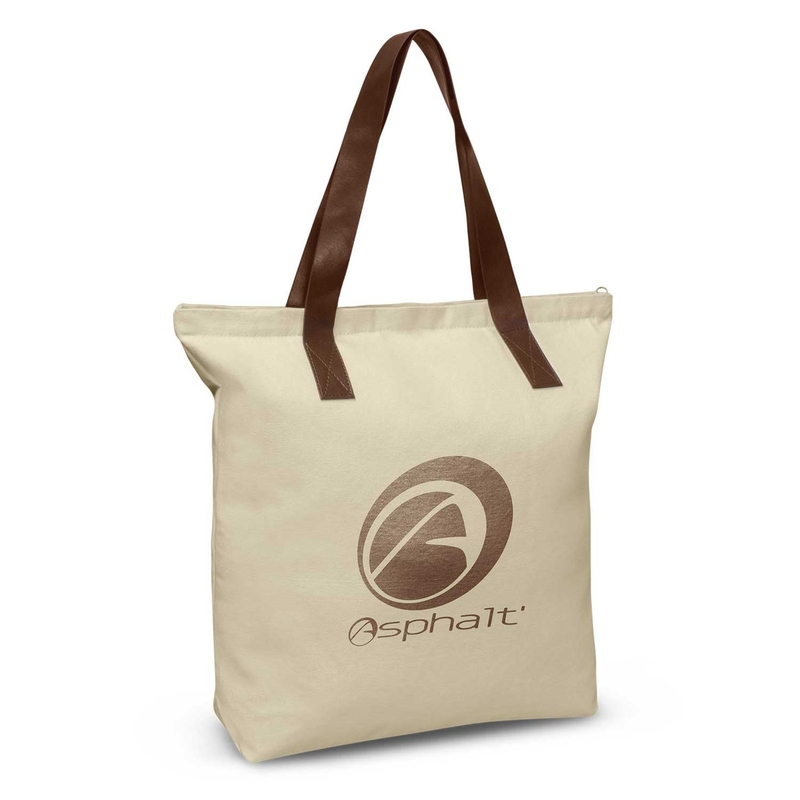 What more can you ask for when you have a sturdy, long-lasting, and reusable tote bag which suits your style. Built for longevity, comfort and extra carrying capacity, our robust tote bag will help you carry daily essentials where ever you may go. 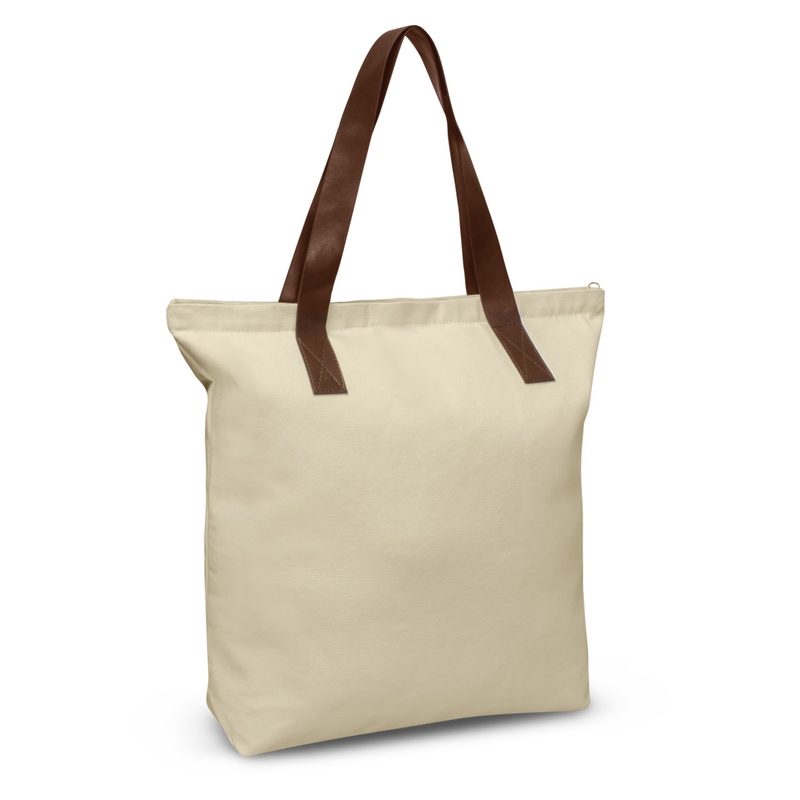 Made from 280gsm natural heavy cotton canvas with a base gusset for added capacity. It has a zippered top closure and "on trend" long brown PU handles which are ideal for carrying it on a shoulder. 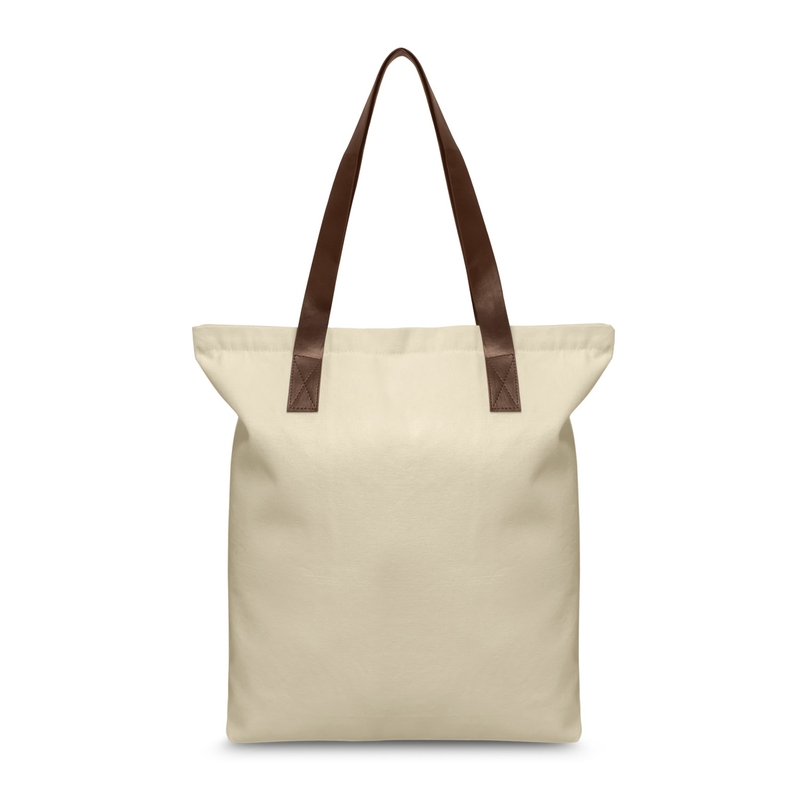 Makes everyday use of large cotton tote bags stylish and fun!